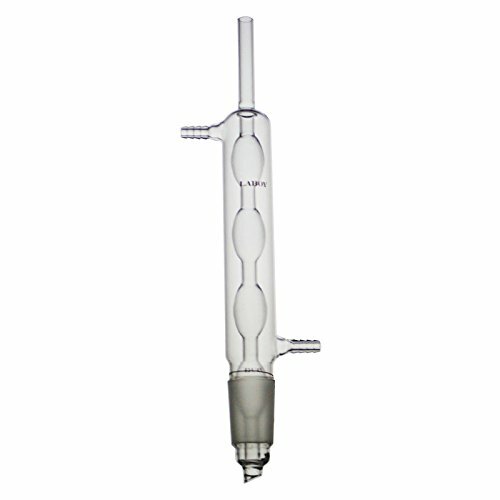 The inner glass tube of the glass allihn condenser is with a series of spherical bubbles to maximize the thermal contact with the cooling water. With serrated glass hose connection having an O.D of 8 mm at the largest serration, to be used with 6 mm I.D rubber tubing. With 14/20 Top outer and bottom inner joint, to be used with any apparatus with 14/20 standard taper joints. The length is 120 mm. Laboy glass are all made of high-quality borosilicate glass and made by hand-blowing to ensure uniform wall thickness. 1. The StonyLab means high-quality products for reasonable prices. 2. We boast excellent customer service with a high satisfaction rating, with our team of representatives ready to assist you Monday to Friday, from 9:30AM to 5:30PM Eastern Time. 3. We pack and ship your orders directly from our US-based warehouse within 24 business hours, and tracking information will be provided to you as soon as it's available. [Warranty] If received damaged, please contact us immediately. We will solve it until satisfied. 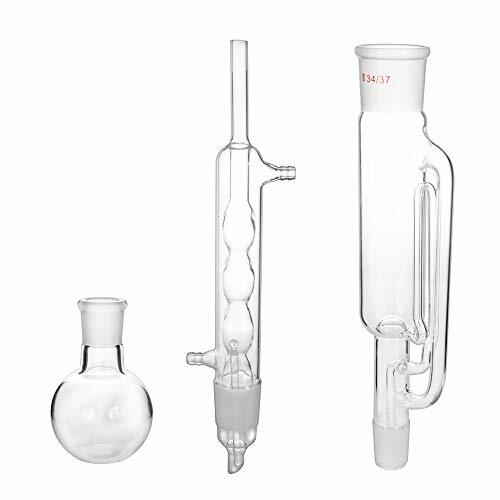 Standard borosilicate, advanced chemistry lab glassware kit. Melting point is 800 , low thermal expansivity, stable thermal performance and high product definition. Grinding mouth is smooth, good sealing property. 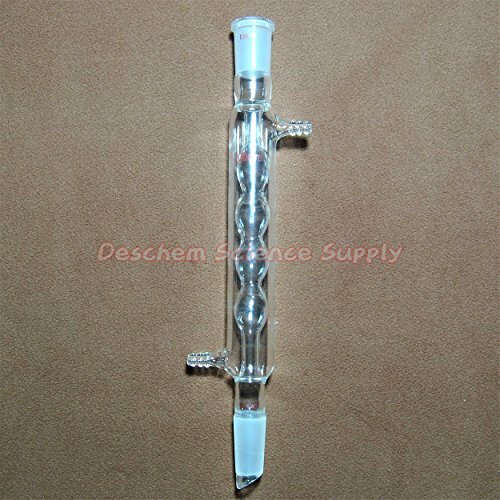 Made of borosilicate glass has good thermostability. The west condenser is with narrow annular space for high cooling efficiency. Laboy glass are all made of high-quality borosilicate glass and made by hand-blowing to ensure uniform wall thickness. With glass hose connections. 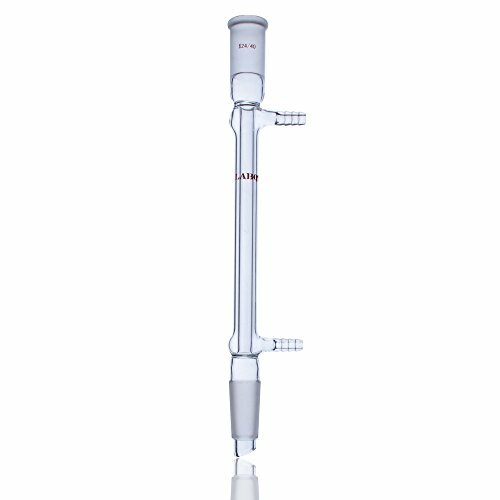 The inner glass tube of the glass allihn condenser is with a series of spherical bubbles to maximize the thermal contact with the cooling water. With serrated glass hose connection having an O.D. Of 10mm at the largest serration, to be used with 8mm tubing. With 24/40 Top outer and bottom inner joint, to be used with any apparatus with 24/40 standard taper joints. 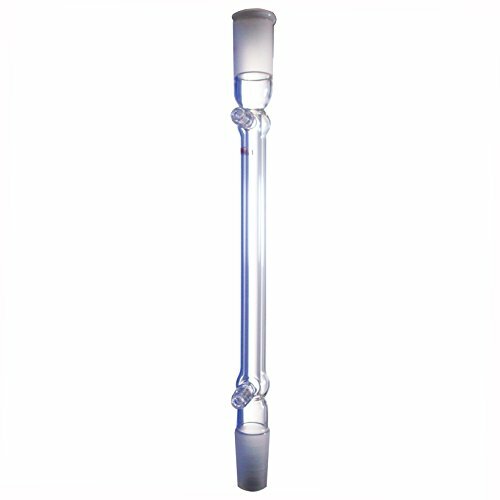 The length is 200mm.Laboy glass are all made of high-quality borosilicate glass and made by hand-blowing to ensure uniform wall thickness. 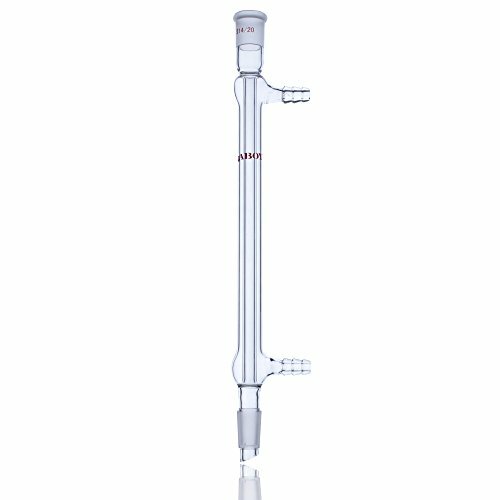 The allihn condenser with 34/45 joint is placed upon the sox let extractor to circulate the solvent and ensure that any solvent vapor cools, and drips back down into the chamber housing the solid material. With glass hose connections having an O.D. Of 10mm, to be used with 8mm tubing for water in and out. 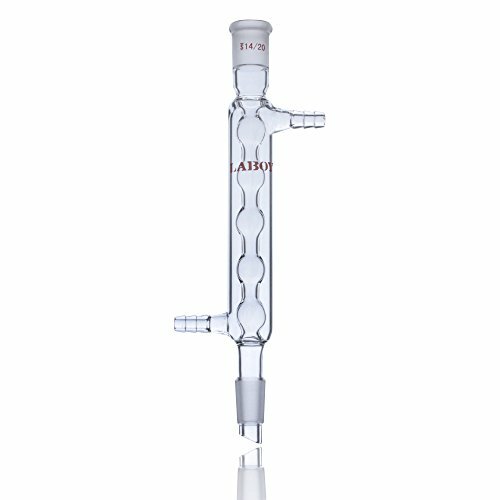 The jacket length is 190mm.The overall height is 275mm.Laboy glass are all made of high-quality borosilicate glass and made by hand-blowing to ensure uniform wall thickness. 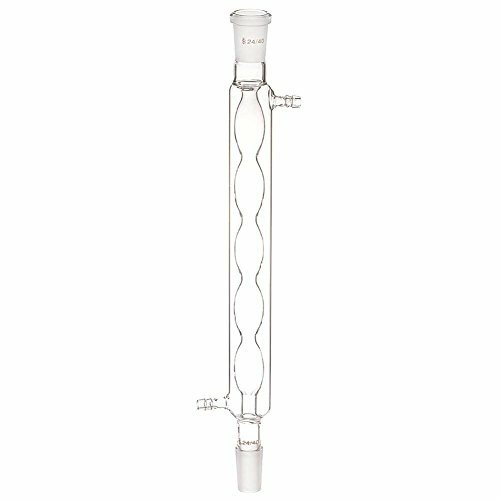 Deschem 24/40,300mm,Allihn Condenser,Ball Shape,Chemical Glass Labware Made from borosilicate glass 3.3 Allihn Condenser,The jacket length is 300mm, With 10mm hose connection. 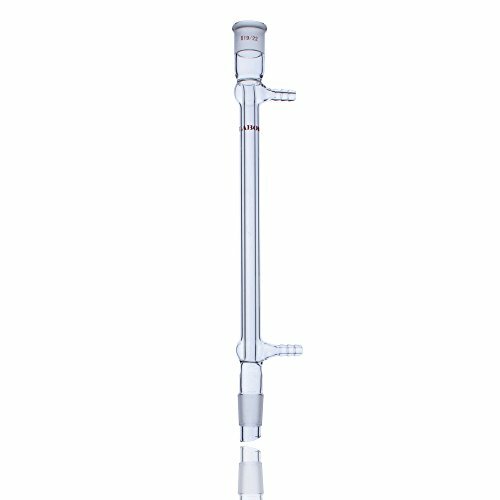 The allihn condenser with 45/50 joint is placed upon the sox let extractor to circulate the solvent and ensure that any solvent vapor cools, and drips back down into the chamber housing the solid material. With glass hose connections having an O.D. Of 10mm, to be used with 8mm tubing for water in and out. The jacket length is 260mm.The overall height is 365mm.Laboy glass are all made of high-quality borosilicate glass and made by hand-blowing to ensure uniform wall thickness. 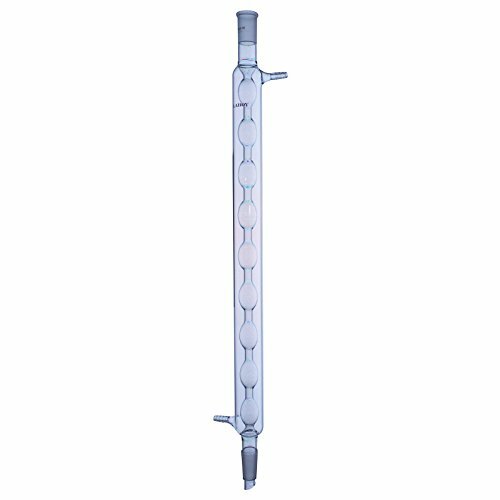 The allihn condenser with 55/50 joint is placed upon the soxhlet extractor to circulate the solvent and ensure that any solvent vapor cools, and drips back down into the chamber housing the solid material. With glass hose connections having an O.D. Of 10mm, to be used with 8mm I.D rubber tubing for water in and out. 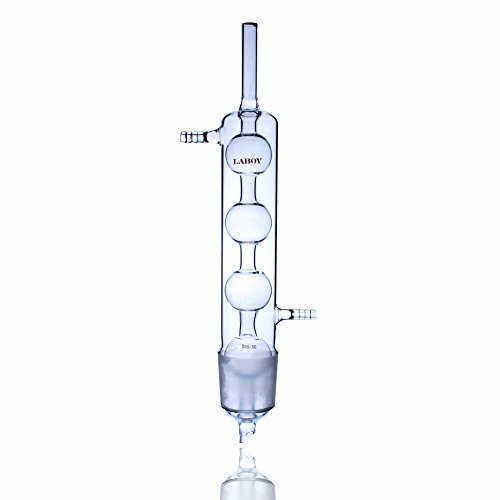 The jacket length is 300mm.The overall height is 405mm.Laboy glass are all made of high-quality borosilicate glass and made by hand-blowing to ensure uniform wall thickness. 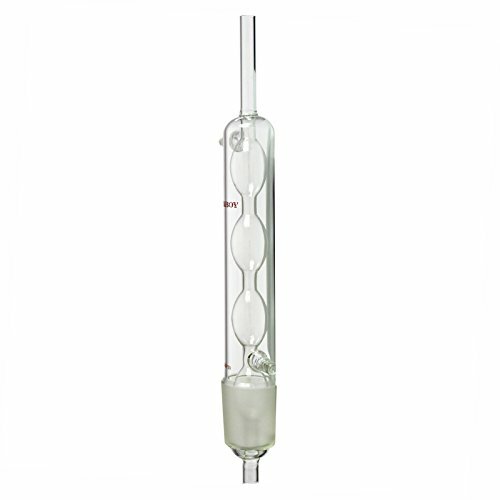 Deschem 24/40,200mm,Allihn Condenser,Ball Shape,Chemical Glass Labware Made from borosilicate glass 3.3 Allihn Condenser,The jacket length is 200mm, With 10mm hose connection. 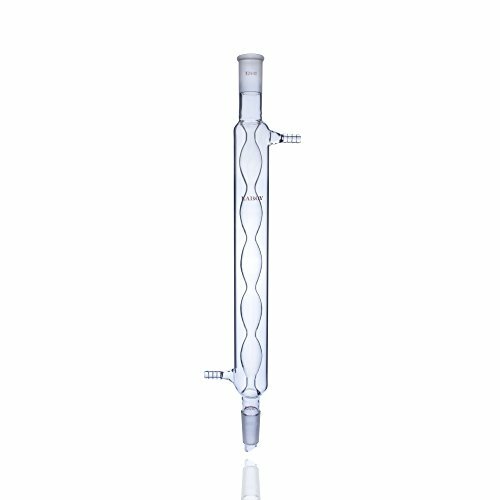 The inner glass tube of the glass allihn condenser is with a series of spherical bubbles to maximize the thermal contact with the cooling water. with serrated glass hose connection having an O.D.of 10mm at the largest serration, to be used with 8mm I.D.rubber tubing. With 24/40 Top outer and bottom inner joint, to be used with any apparatus with 24/40 standard taper joints. 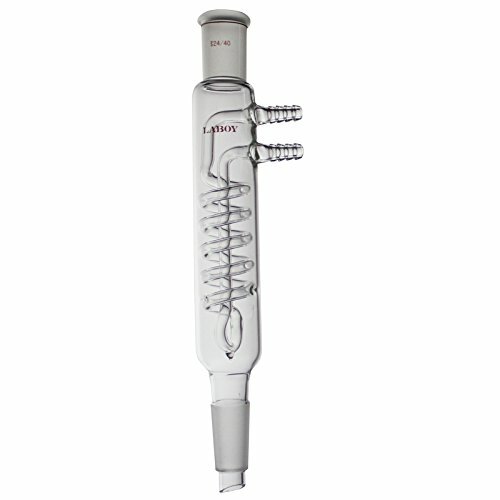 Laboy glass are all made of high-quality borosilicate glass and made by hand-blowing to ensure uniform wall thickness. Large cooling capacity reflux condenser, Jacket has an O.D. Of 40mm while the coil O.D.is 8mm to provide maximum cooling capacity. With 24/40 Top outer and bottom inner joint. With glass hose connection. The jacket length is 125mm.Laboy glass are all made of high-quality borosilicate glass and made by hand-blowing to ensure uniform wall thickness.